High specification Mini Cooper D with Chilli Pack, Half- leather Interior, Multi- function steering wheel, Upgraded 16" alloy wheels and Bluetooth. Cared for and maintained to the very highest standard with a full 5 stamp service history. 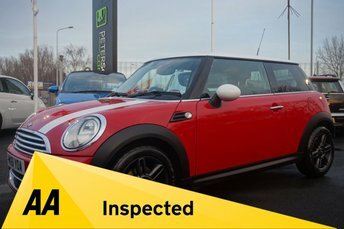 We have uploaded a full Hd walkaround video to show the quality both inside and out of this high specification Mini Cooper. 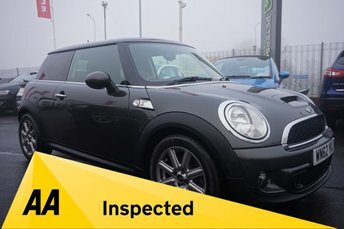 This Mini has been independently inspected by the AA for your added peace of mind. Low rate, 0% deposit finance available. Please ask for a personal quote. 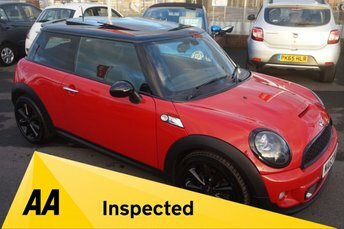 Comes with all documentation, owners handbooks, both keys, 128 point AA Inspection Report, full clear Gold HPI Report,AA History Check Report, Please call if you require further information or to make an arrangement to view. Peter Scott Cars is an award-winning family run dealership with over 30 years of experience. With a range of trim levels available, as well as three and five-door versions of the MINI Hatch, there truly is a model to suit every driver. You'll be able to find a great selection of used MINI Hatch Cooper models for sale in Widnes right here at Peter Scott Cars. We are a leading supplier of quality and affordable used vehicles and you can trust our team to provide you with reliable and impartial guidance. Take the opportunity to view our complete stock online and be sure to pay a visit to the showroom in person when you're ready to take a test drive.